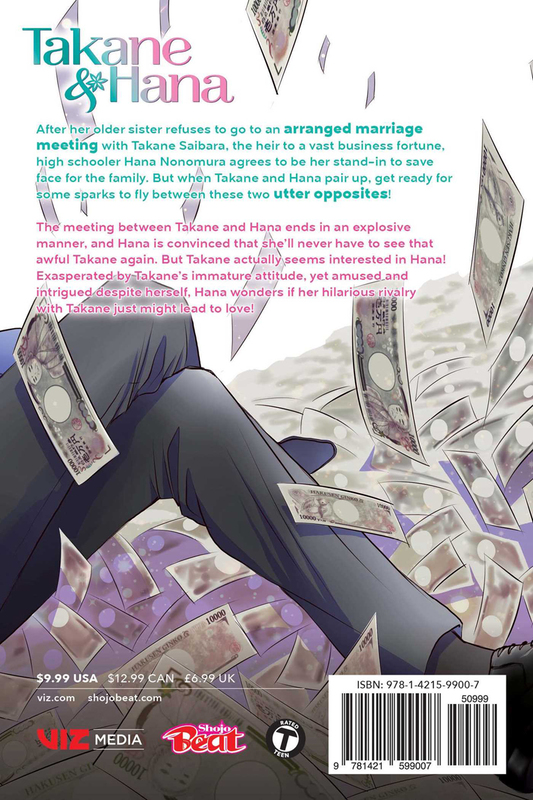 Takane & Hana volume 1 features story and art by Yuki Shiwasu. 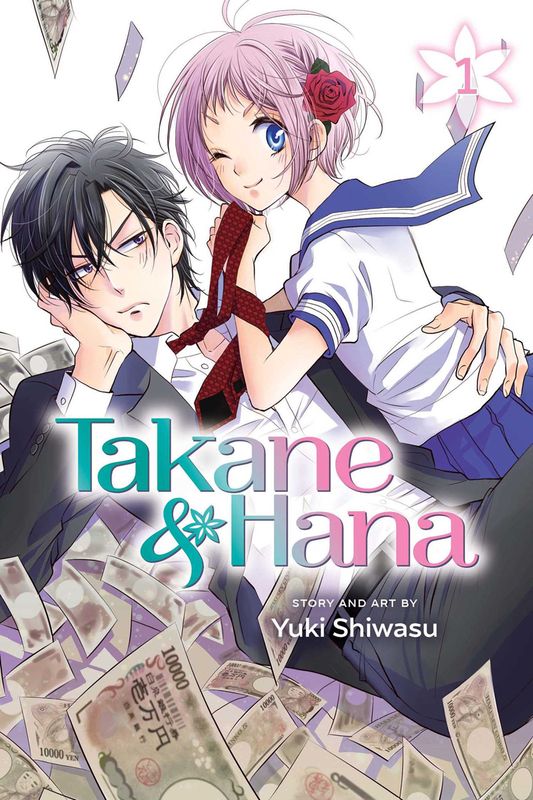 A strong-willed high school girl and a hot, young scion of a business empire can’t help trying to outwit each other every chance they get… But could these opposites be conning themselves out of the perfect match?! You could only want more !!! This series is amazing it super funny and has it's romance moments that make you yearn for more. It has that hysterical sugar daddy aesthetic. The art is very clean as well. The best but cringe-worthy part is it ends like a to be continued forcing me to cry for more . This manga made me laugh out loud which is rare for me. Yes there is a little a bit of a sugar daddy plot too it. Which I do not mind at all! This story is my guilty pleasure. I just want be in Hana's shoes. Well not back in the HS but a older man wanting to pursue me. SWOON. I have been recommended this series so much and I finally decided to dive into it. I'm so glad I did. I have been wanting a new shojo title to read for a while and this was a perfect choice. I love series that really try to change it up and play with the typical stereotypes found in this kind of genre. The characters are really refreshing and funny. The artwork is so cute, but really well done. Do yourself a favor, even if shojo isn't normally your go-to genre, pick up this title and I promise you won't be disappointed.